Since September children from Wirksworth Federation of Infant Schools have been taking part in daily interactive ‘Cyber Coach’ wake up sessions. 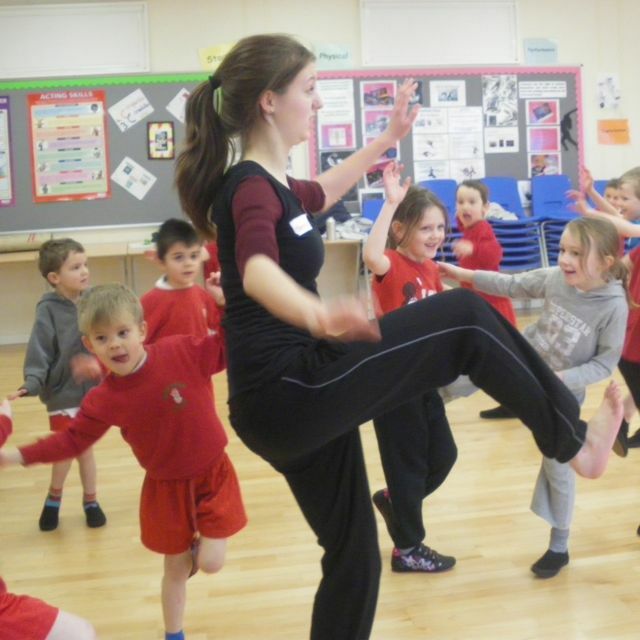 Each class lasts between 5 and 10 minutes and includes activities such as T’ai chi, aerobics and disco. 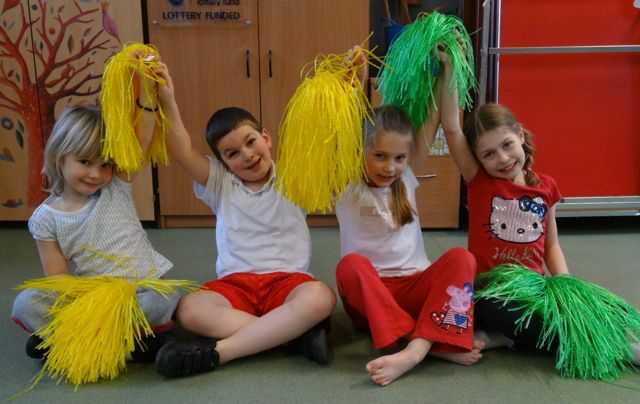 The sessions have been so popular they now run an after school Cyber Coach club where children take part in workouts ranging from cheerleading to street dance! More than a hundred Key Stage 1 pupils from six primary schools in the Highfields cluster came together for an annual festival. 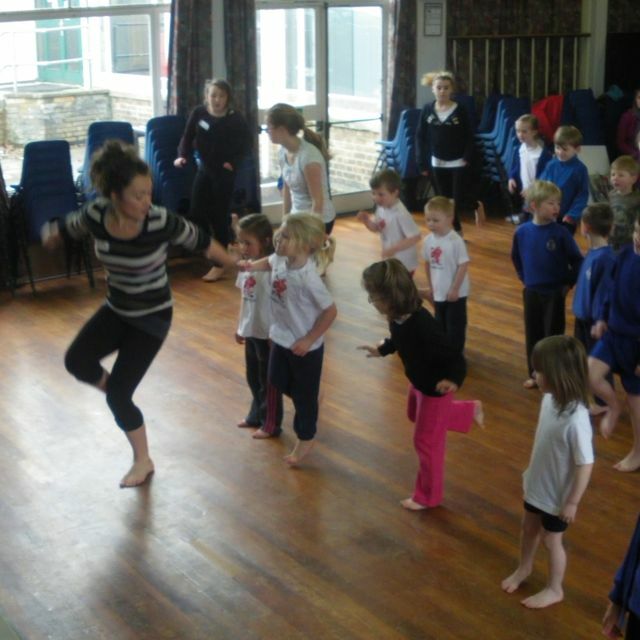 Nine Sports Leaders UK dance leaders assisted. Foul weather may have recently brought the traffic on our roads to a standstill but it didn’t deter QEGs U.18s rugby team from making it through to the last 8 in this top National Competition on a snowy February day before Shrovetide gripped the town. Reaching the quarter finals of a National Competition is no mean feat for a state school competing against the rugby “giants” from the public sector schools. Top public schools usually fielding their own rugby coaches are often training or competing most afternoons throughout the Winter months. The success at QEGs is down to the fantastic commitment of the PE Department coupled with excellent links to the local Ashbourne Rugby Club where many of the PE teachers also play and coach and almost all of the school team play in addition to their school matches. Martin Farr, Head of PE, said: “Being in the last eight of the competition we know we will be up against the best in the Country so it’ll be tough, but the lads work hard & are a very talented bunch of dedicated rugby players who are a genuine pleasure to be around.” Our best wishes to them in their quarter final match against St Ambrose College, Altrincham. Strong District teams and individual runners from schools in the Rural Derbyshire School Sport Partnership stormed to victory in the County Championships earlier this month. Excellent performances earned medals with the top 8 positions qualifying for the County team who will compete in the Schools National Championships due to take place in Derbyshire next month. There were some outstanding performances worthy of a mention – Anthony Gell students Ellie Smith just missed out on a medal in 4th place in the year 7 girls race but still qualifies for the County squad. Amy Stone won the Junior Girls event & Cameron Orr took bronze in the Junior boys race with Daniel Evans (QEGs) in 7th and Joe Hallas (AGS) 10th in the junior boys race. In the Inter boys, Ollie Sadler of QEGs was 10th making him reserve for the County. Other notable performances came from Emma Erskine (Highfields) who took first place in the senior girls with Tamsin Boam taking bronze. We wish them all the very best of luck in the Nationals in March. Students from Lady Manners were on top form for the finals of the SSP sports hall athletics champs in February. Always a supremely noisy affair, this competition to determine the district teams sees teams of athletes from the four Secondary schools throw, jump and run over different distances in this relatively new addition to the busy sporting calendar. Results meant the LMS teams were victors in three of the four competitions – year 7 & 8 girls and year 8 boys with QEGS winning the year 7 boys event. 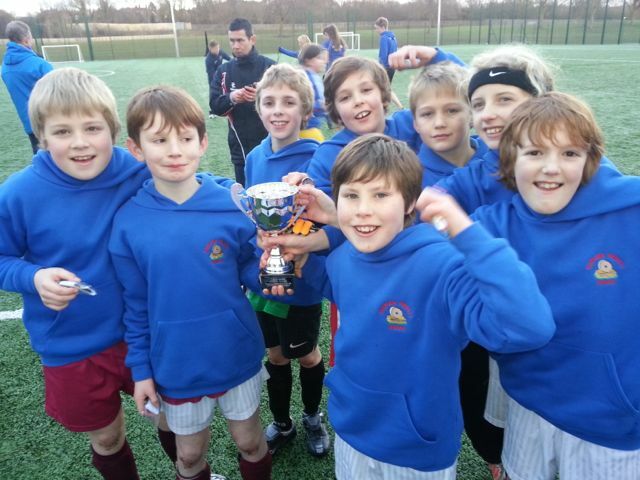 Worthy winners, they will represent the SSP in the County finals in March.